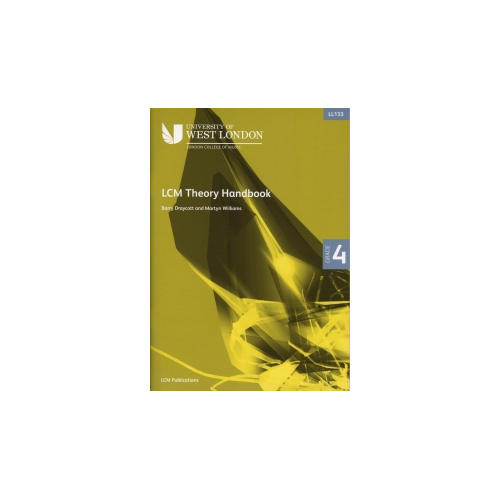 This workbook covers the material which is assessed in the London College of Music theory exam for grade 4. Includes two specimen test papers. Ref: LL133. Barry Draycott & Martyn Williams. LL133 London College of Music Theory Handbook: Grade 4 is part of a progressive series of handbooks, primarily intended for candidates considering taking the London College of Music Exams in Music Theory. However, given each handbook’s content of educational material, the series provides a solid foundation of music theory for any music student, of any age, whether they are intending to take an exam or not.